Gail offers firsthand knowledge about a variety of topics that relate to eldercare and life planning. 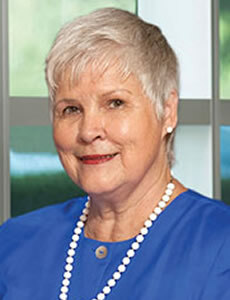 She has personally experienced the many facets of dealing with nursing homes, Home Health care, respite care, hospice, Health insurance, Medicare, Medicaid and Social Security. Gail’s husband was afflicted by several diseases including Vascular Dementia which eventually required her to assume full responsibility for all aspects of their lives. Prior to becoming a caregiver, Gail spent 25 years in the financial services industry where she served as a Vice President in charge of marketing, training and human resources before she took an early retirement to care for her husband. She has two sons, five grandchildren and one great grandchild.